Remember the Reason. Renew the Vision. Homeschool freedom may be much safer now than it was thirty years ago, but there is no shortage of attempts to erase the progress we've fought so hard to achieve. 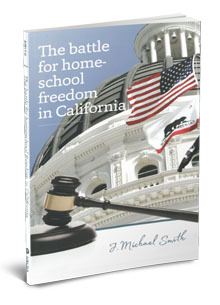 California homeschoolers saw this as recently as 2018, when a flurry of legislation threatened home education. We made our voices heard. But will homeschoolers be ready the next time threats arise?